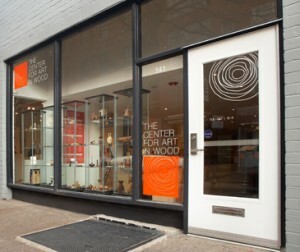 The Center for Art in Wood is open 10:00 am. – 5:00 pm. Tuesday through Saturday. Closed on Sunday & Monday. This entry was posted in Art, Art Galleries, Art in Philadelphia, Fine Art Philadelphia, John Thornton Films, John Thornton Video, Mixed Media Art, Philadelphia, Philadelphia Abstract Art, Philadelphia Art, Philadelphia Art Galleries, Philadelphia Art Installations, Sculpture, The Center for Art in Wood, Uncategorized, Wood and tagged 2015 Windgate ITE International Residency Exhibition, abstract art, Adrien Segal, AllTURNatives, allTURNatives: Form + Spirit 2015, Art, Art Installation, DoNArTNeWs, DoNArTNeWs Philadelphia Art News Blog, Grant Vaughan, John Thornton Films, Julia Harrison, mixed media art, Old City Arts District, Philadelphia, Philadelphia Art, Philadelphia Art Gallery, Philadelphia Fine Art, Rex Kalehoff, Seth C. Bruggeman, The 2015 Windgate ITE International Residency Exhibition at The Center for Art in Wood, The Center for Art in Wood, Windgate ITE blog, Windgate ITE International Residency Program, Winifred Helton-Harmon, Zina Manesa-Burloiu on August 27, 2015 by admin1.